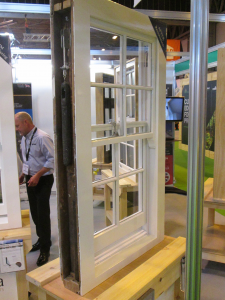 UK Construction Week 2015: I went, did you? October saw the first outing of UK Construction Week 2015 ‪@UK_CW at NEC Birmingham. 9 shows in 1 was a great development on the 2014 Build Show ambitions. A one day overlap with Grand Design Live enriched the visitor profile as did the trade appentices on day 3. 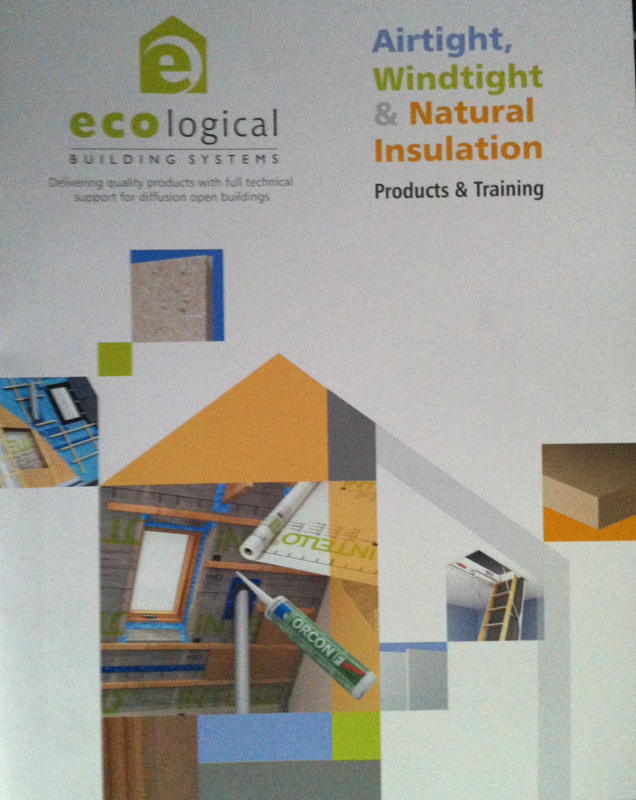 It looks like we now have two annual shows, six months apart UKCW & EcoBuild. Will we see more differentiation between them? Mixed reviews: not enough foot-fall for some, plenty for others, but some good enquiries. It felt like the child of Interbuild and half filled that chasm with very diverse content; a great first showing. BrianSpecMan attended all 3 days, collected 87 business cards and interrogated many manufacturers and suppliers. 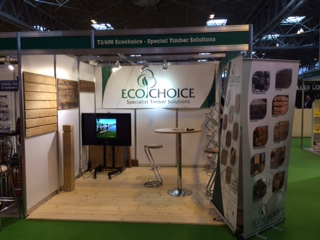 Starting point and focus was Timber Expo, that felt more eco then EcoBuild. BrianSpecMan is writing up what he found interesting on GBE and shortlists 10 below and more in next eNewsletter. They will be encouraged to join the GBE Solution Providers as soon as possible. An overwhelmingly positive response from manufacturers and suppliers to ‪@GBEGreenBuild. GBE 2D or 3D View to interrogate the Encyclopaedia. a diverse mix of things (even more diverse in following eNewsletters). and more images and links will be added in the on-line version of this newsletter. All production runs have imperfect starts and stops with occasional blemishes mid flow; all of which are not of ‘merchantable quality’ and would be rejected on site. They would be sent to landfill or better still sold as seconds; this company collects them from manufacturers and sells them to small and self-builders. Self-builders will take the time to cut out the odd bits, make the installation pristine and ‘fit for purpose’. 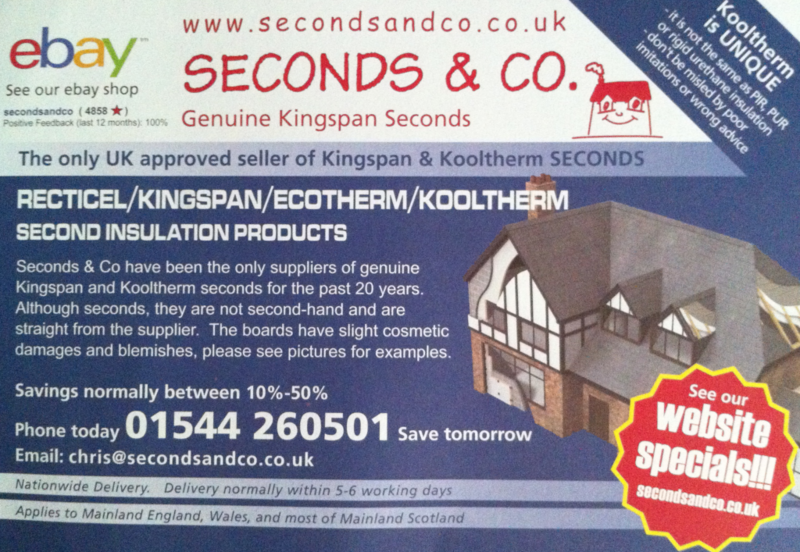 They offer UK mainland delivery within 5-6 working days and savings between 10 and 50%, not to be scoffed at. A new player to be added to GBE Resource Map when GBE gets there. 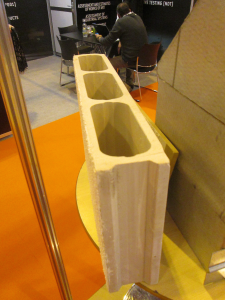 Fibre-reinforced water-resistant precast gypsum sections, demonstrated here as an internal partition system; but with many other potential applications. I had a long discussion with its inventor about its recipe, properties and potential problem-solving applications. I fancy there are some modifications in the recipe to be had to reduce its impact and increase versatility. Looking forward to more discussions and interesting products arriving in the market. 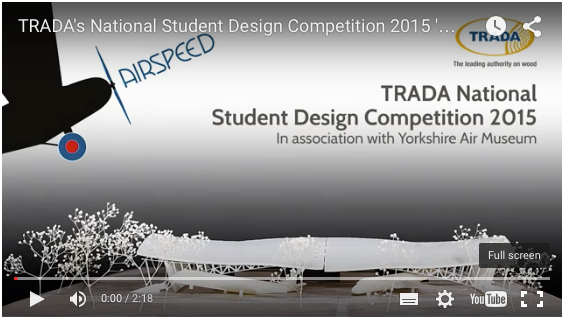 3 TRADA National Student Design Competition AIRSPEED Yorkshire Air Museum Hanger and Gateway. I declare an interest in this, Andreas Christodoulou is one of the students on the Environment & Resource Efficiency module I run at London South Bank University. I cannot claim any influence over the design but his response to the ‘site analysis > briefing > building use > servicing requirement > design > structure > construction > materials > waste’ submission scored well along the way. Joint 1st. prize, congratulations Andreas. Congratulations all the other teams, Yorkshire Air Museum and TRADA. 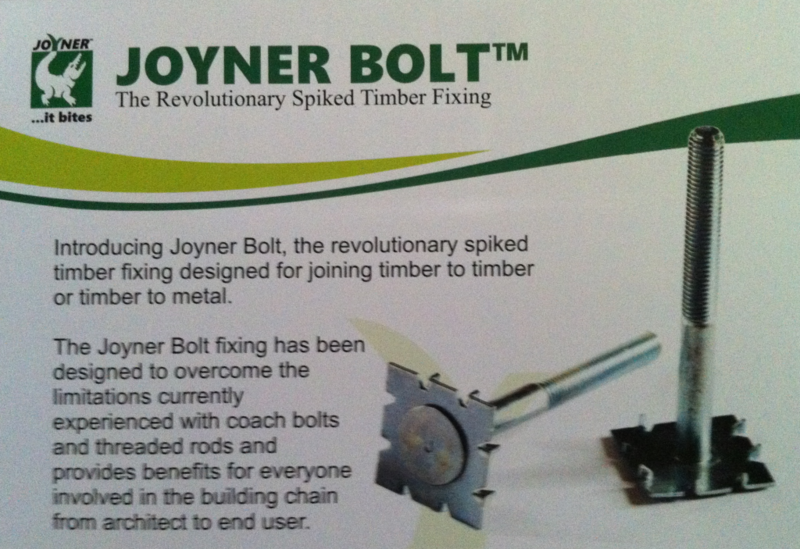 ease of use, speed and efficiency, quality of joint, ease of demount-ability, reusable timber and reusable bolt. A great display of before and after solutions for vertical sliding sash windows repair, improvement and upgrades. An excellent matrix of renovation and replacement options in literature. I am determined that I will connect them with a prolific inventor of viable solutions for solid wall energy improvements to solve the energy loss through the box frame. I know there is an answer to be found and hope to see it shown next year! Very nicely presented new brochure full of new goodies with more accolades, endorsements and certificates. 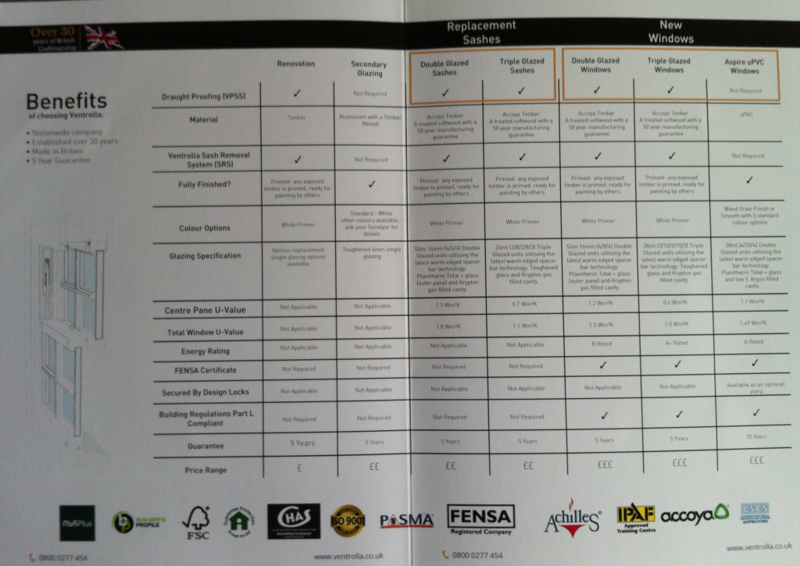 P14 Air and Wind tightness systems Specification & Guidance notes. They were written around their products in their early days. The specifications were thorough but apparently ‘scary’ to users. They need updating with many new products on offer. 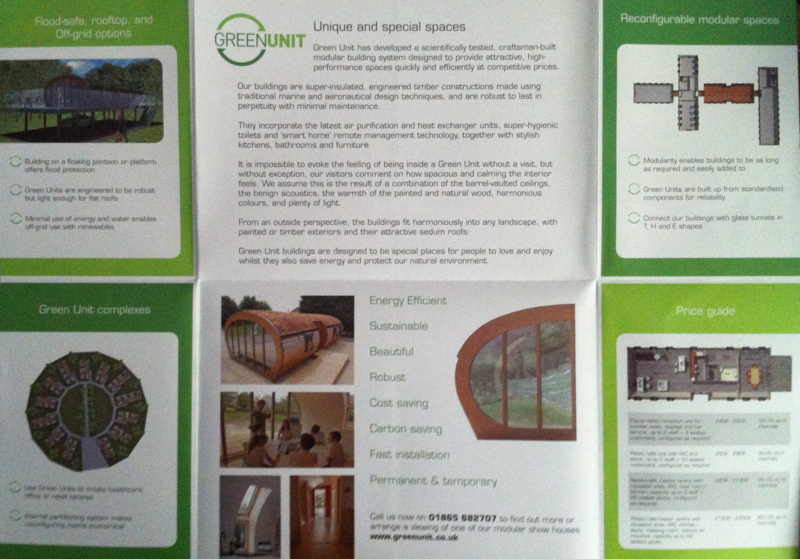 We discussed turning them into many specifications one for each airtightness detail. with a track record of robust applications. 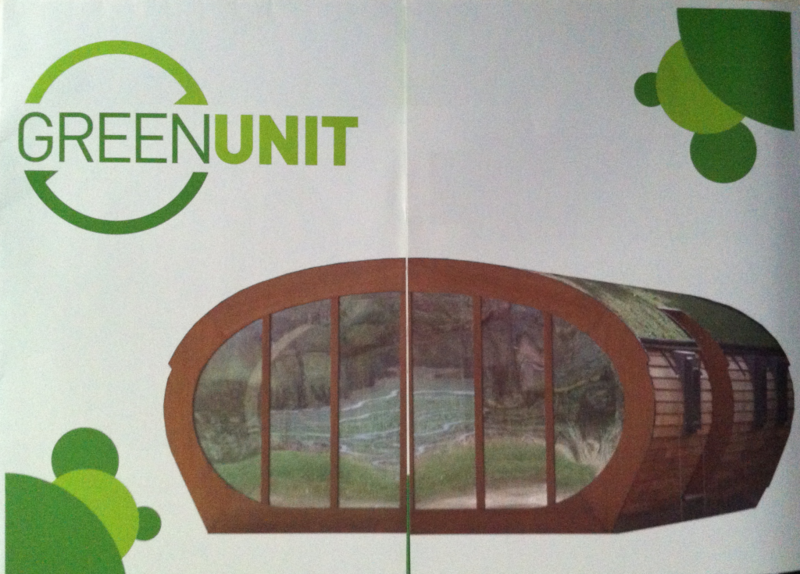 An oval section modular building that is supported by excellent literature, hinting at its adaptability and versatility. Highly effective mineral silicon based technology for all wood types. with beautiful natural finishes for use internally, externally, vertical or horizontal. Invented in Sweden, 10 year track record, loved by architects, available in the UK. 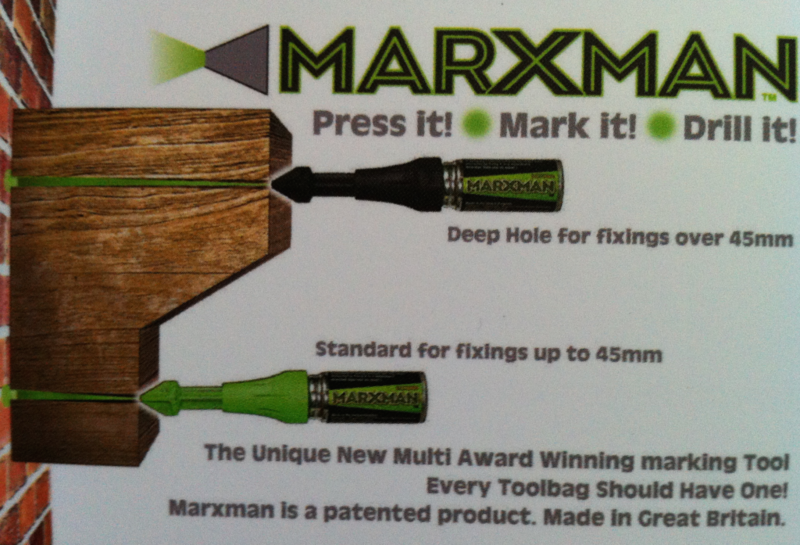 Delightfully simple and very appealing device for constructors, self-builders and DIYers. to spray bright coloured dye through a drilled hole in thick timber to set out your drilling position dot on background surfaces. every effort must be made to ensure and keep these benign when profit margins are driven down by stockists, suppliers & distributors. Items 11 to 20 in the next edition of GBE eNewsletter.